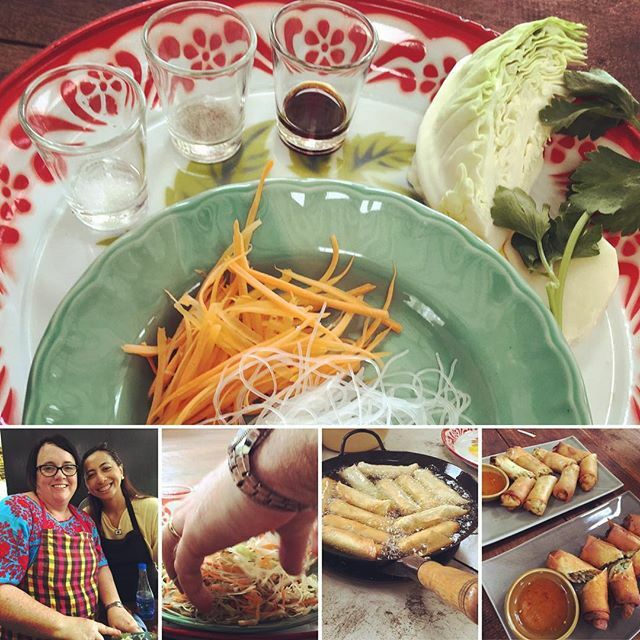 First dish we cooked – Vegetarian Thai Spring Rolls. YUM! Previous Previous post: Cooking class tour of the Wet Markets. It is always an eye opener. Ben spent the whole time holding his nose.